Grant’s back from Mildura and he’s exhausted. He’s been flying hot air balloons all week and has not only had his first solo (on July 4th, no less!) but he’s finally completed his private pilot (balloon) certificate. Woo hoo! 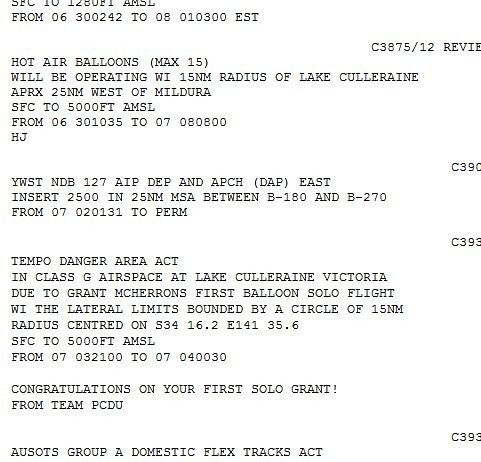 This entry was posted in Australia Desk and tagged 737 MAX, Boeing, flying, hot air balloon, license, Mildura, NOTAM, pilot Grant, solo flight, Virgin Australia. Bookmark the permalink.